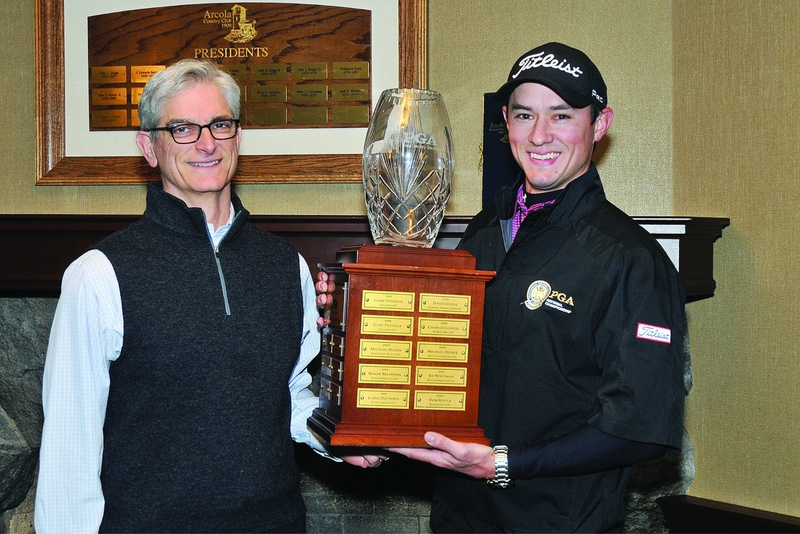 Dan Kinn of Acushnet Company claimed the year’s first major of 2016, but winning the Match Play Championship at Arcola Country Club led to a fulfilling season. Kinn, 29, came into the Match Play Championship last year as a qualifier, but won all six of his matches that week without having to play the 18th hole. He continued his strong play with a runner-up finish at the Lincoln Charity Clambake, and a tie for third in the New Jersey PGA Championship. He also qualified for the PGA Professional Championship in June at Crosswater and Meadows Courses at Sunriver Resort in Sunriver, Oregon. Kinn is coming off a season where he finished No. 2 in the OMEGA Player of the Year standings. He was also apart of the first team to defeat the Philadelphia Section in the Turnpike Cup last October. The former Professional Golf Management student from Clemson University said the biggest thing this season is changing his mentality and expectations. Kinn, who hits the ball long, will play Damien Hamlett of Galloping Hill in his first round match. As of last month, Kinn has yet to play Morris County Golf Club.